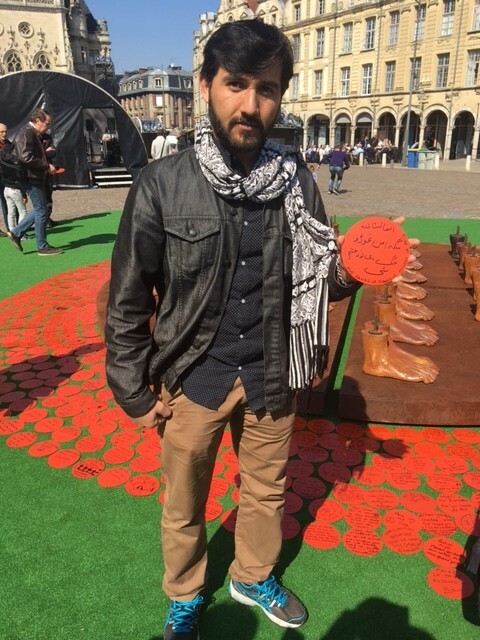 The Peace Poppy in Arras went international on the day of the unveiling, honouring those who protected our freedom and democracy and highlighting the message of peace. 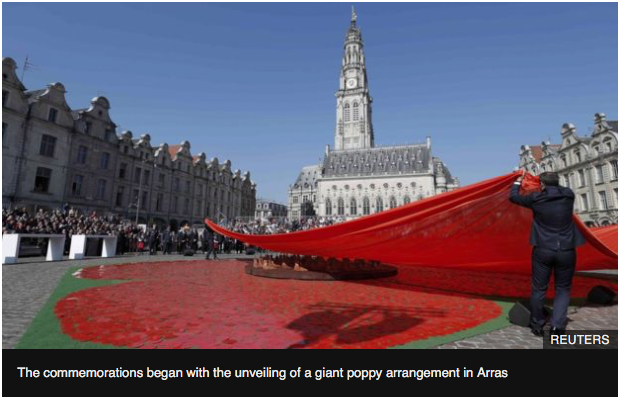 Over six days the Poppy was built, in the French town of Arras, with the help of French volunteers who raised money for UNICEF. 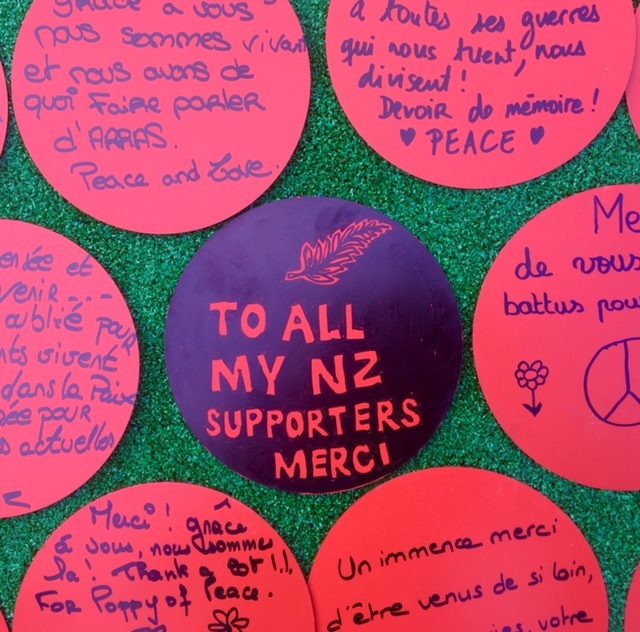 Thousands of New Zealand messages from the 2015 Giant Poppy in the Auckland Domain were mingled with thousands of French messages to create the Peace Poppy. Liberte was a word that featured in many of the messages. 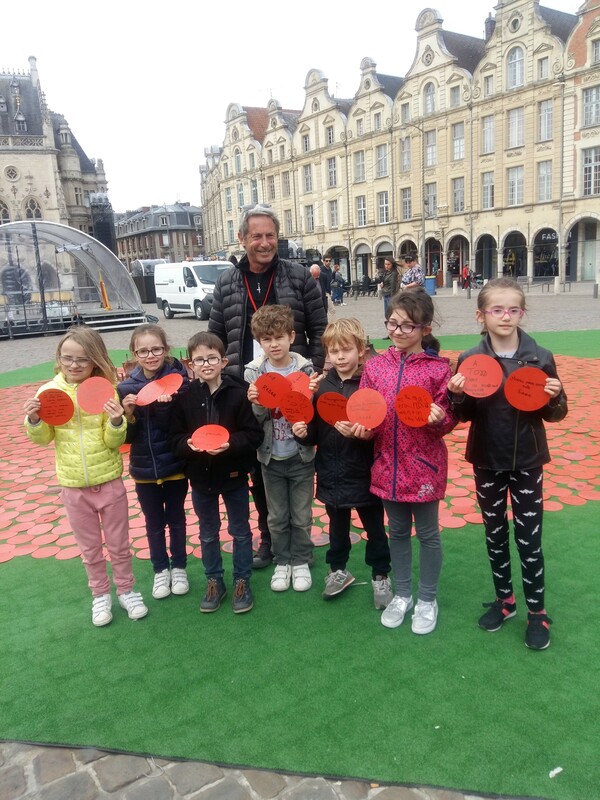 We are proud that we took the challenge to get to France and build the Poppy of Peace and were privately funded through the generosity of crowdfunding by philanthropists, family. friends and sponsorship. 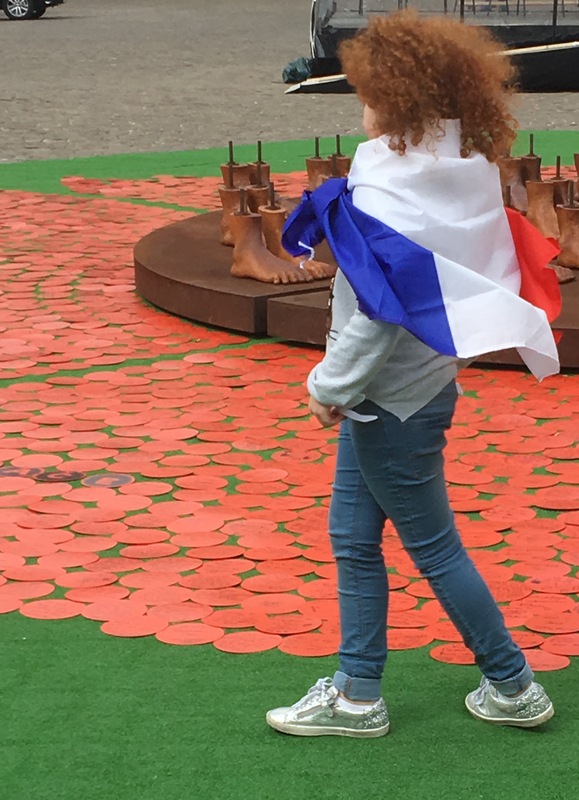 The poppy petals shipping to France was sponsored Mainfreight. 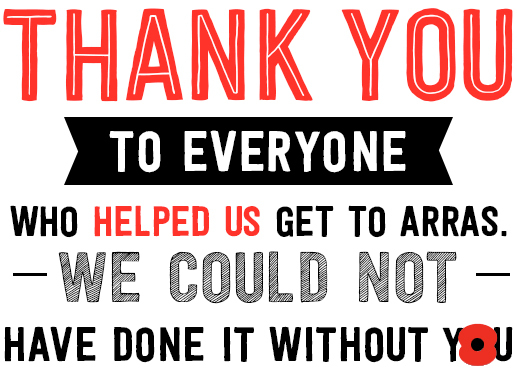 Again thank you to everyone who believed in us. Visitors came from all over the world and some special visitors were the children of Arras and the descendants of the New Zealand tunnelers from WW1 who were in Arras for the commemorations including Maoris and Cook Islanders. 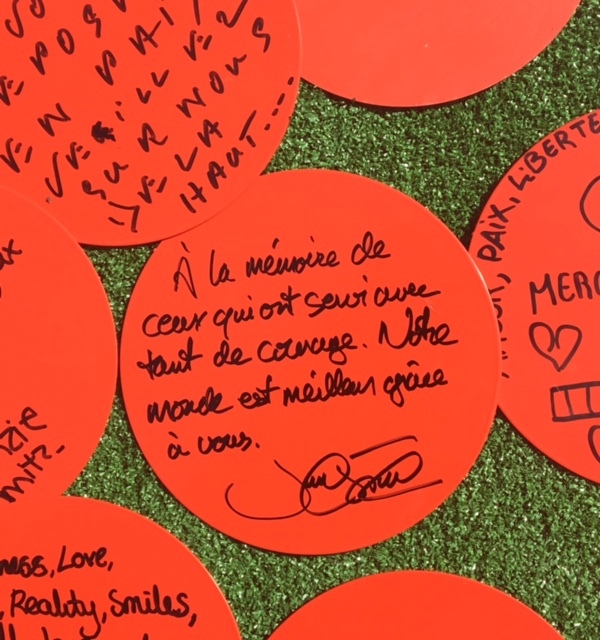 On the day of the unveiling the President of France Francoise Hollande, our NZ Minister Hon Chris Finlayson and Prime Minister of Canada Justin Trudeau along with other VIP’s placed the final messages. 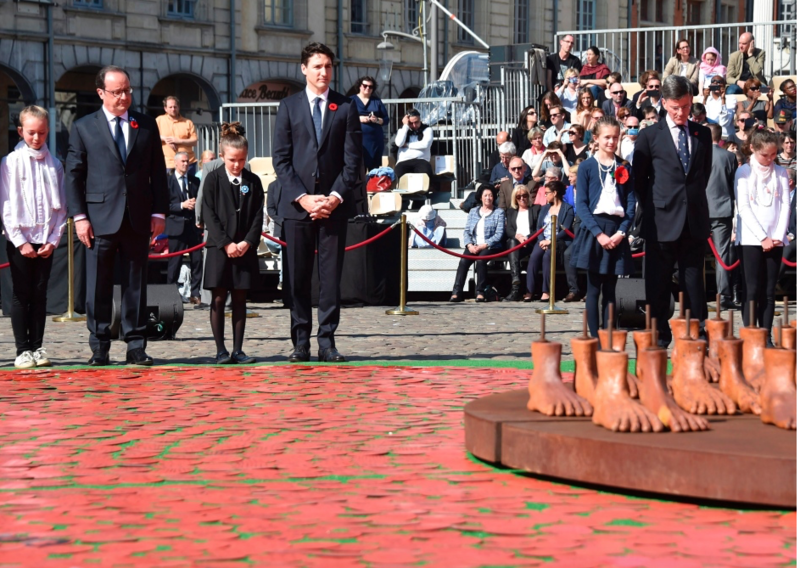 Myself and Helen Pollock – the New Zealand artist of the sculpture, Victory Medal which was in the centre of the Poppy – were recognised prior to the unveiling which was very emotional. What a privilege it has been to work on a project that honours so many and allows so many to be engaged and make their own personal messages of respect and peace. 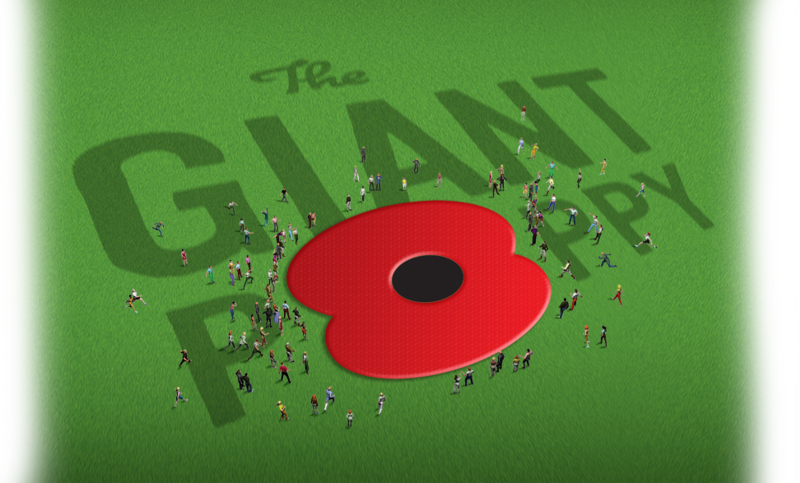 New Zealand Artist of the Poppy of Peace and the Giant Poppy. Copyright © 2015 | Website designed by Redfire & Developed by Redfire Digital.